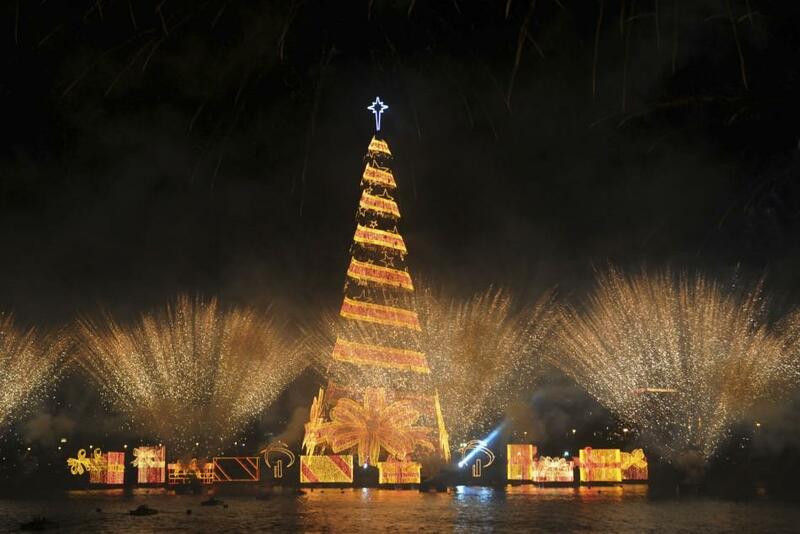 An 85-meter high Christmas tree, said to be the world's largest floating Christmas tree, according to the Guinness Book of Records, was unveiled at Rodrigo de Freitas Lake in Rio de Janeiro, Brazil, on Saturday evening. 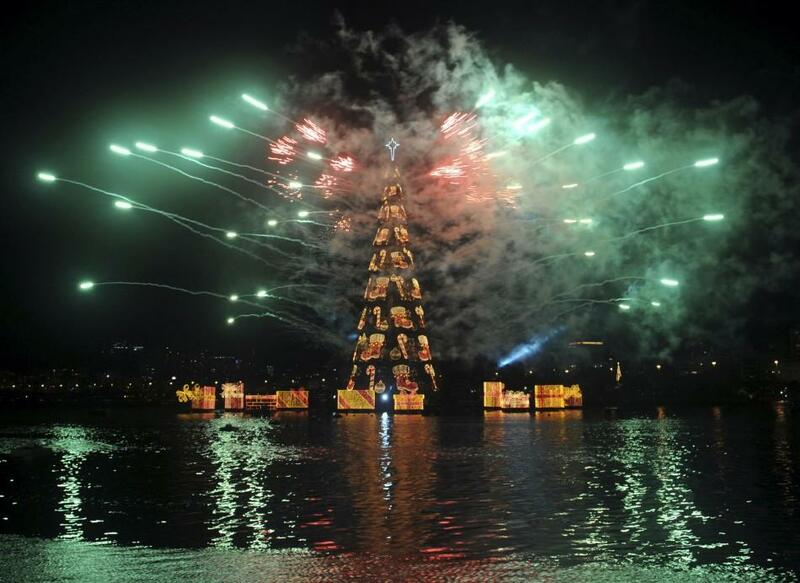 With the theme A Gift for the Brazilian Family, the floating Christmas tree was inaugurated for its 16th edition in the annual event, which is one of the three largest events in Rio de Janeiro, along with the Brazil Carnaval and New Year's Eve. 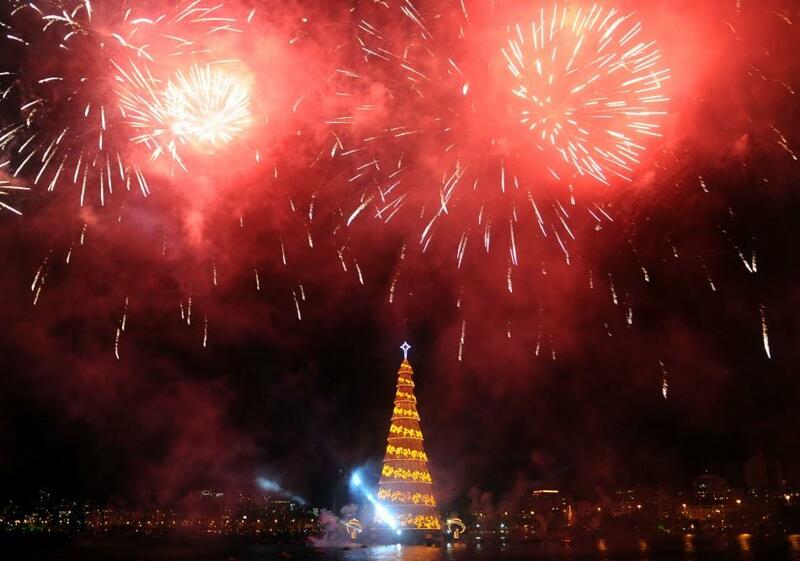 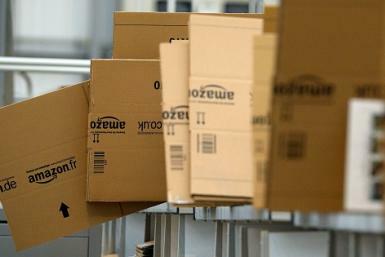 The tree is as tall as a 29-story building, according to the organizers, Grupo Bradesco Seguros. 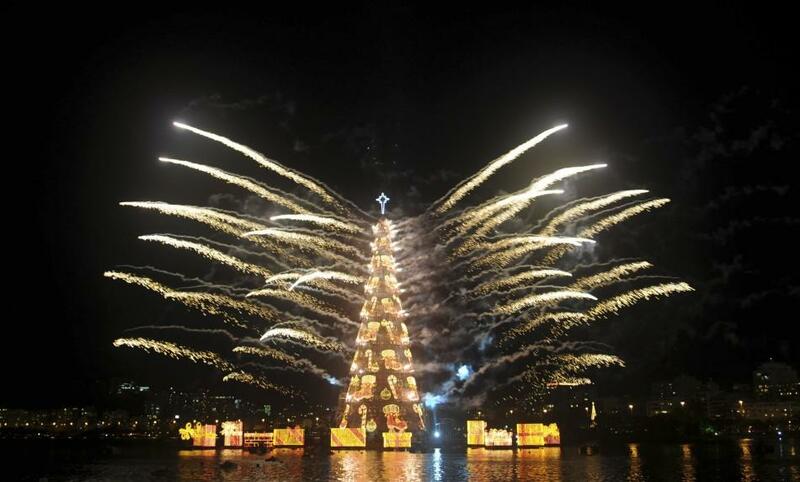 The Bradesco Seguros Christmas Tree is a symbol for yuletide days and will be lit up every evening until Jan. 6, when it will be lit for the last time, bringing an end to the holiday season. 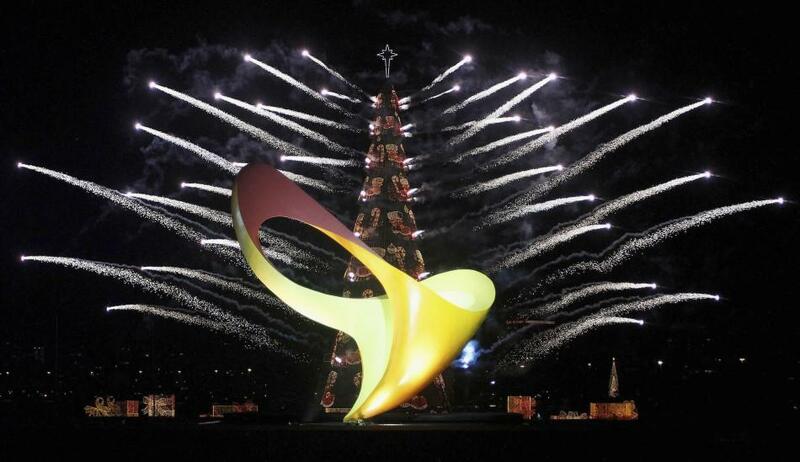 The logo of the Rio 2016 Paralympic Games was also launched officially during the lighting ceremony of the floating Christmas tree.